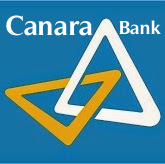 Canara Bank Securities Limited (Canmoney) (A wholly owned subsidiary of Canara Bank) engagement of Chartered Accountant (CA), Network Engineer and Receptionist. The last date for receipt of applications is 30th November 2015. Chartered Accountant : ₹ 26200-1200 (5) - 32200 -1400 (5)-39200. Gross emoluments at current rate of dearness allowance are ₹ 58097.60. Receptionist : First Year - ₹ 15,000 per month, Second Year - ₹ 16,500 per month, Third Year - ₹ 18,500 per month. Probation Period: The selected candidates will be on probation for a period of ONE year (12 months of active service) from the date of joining, as per the rules of the Company. Chartered Accountant : Qualified Chartered Accountant (ICAI). Candidates with additional qualification of ACS will be preferred. Experience - 1 year post qualification experience in stock broking / finance essential. BE / B .Tech (Tele.& Elec) / (E & E); Valid CCNA certification or equivalent. 01 year post qualification experience in the relevant field is preferred. Receptionist : Pass in Matriculation with XII Std with good communication skills. Diploma in Secretarial Practice desired. 01 year working experience n the relevant field preferred. Selection Process : Shortlisted candidates will be called for Interview. The candidates who have been shortlisted will only be called for the Interview and informed only to the registered e-mail given by the candidate by 05th December 2015. How To Apply : Eligible Candidates are requested to apply in the prescribed format. Applications duly completed in all respects along with Self attested Copies of required documents addressed to THE SENIOR MANAGER, CANARA BANK SECURITIES LTD, MAKER CHAMBERS III, NARIMAN POINT, MUMBAI 400021 should be sent by REGISTERED POST / SPEED POST only in a cover super scribed "Application for the selection of _________ in CBSL". The last date for submission of applications is 30/11/2015.